Acca Kappa Beard Brush Barber Shop Collection. 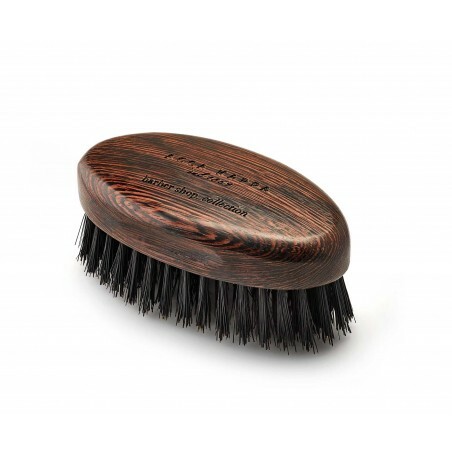 This Italian Beard Brush has been made from precious Wengè wood and is hand-finished to the brand's exquisite standards. It is of an elegant design and the wood is rich in colour and in grain. It sports an ergonomic handle grip, and pure boar bristles of the finest quality. The brush polishes and detangles the beard, keeping it healthy and strong. Use the brush to evenly distribute softener and other products onto your beard. We recommend that you clean the brush regularly with a little shampoo under warm water and air dry. It measures 12cm x 6cm x 5cm. 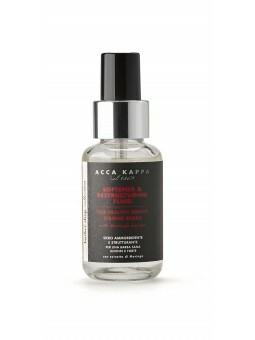 it is ideal to pop into your essential grooming kit and is the ideal size for travel.